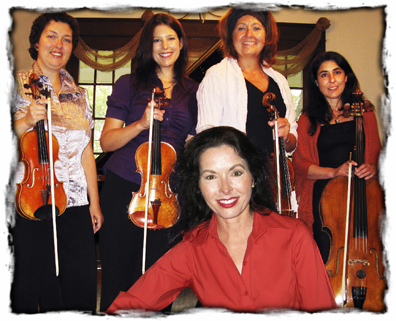 Did you miss Marie-Andrée Ostiguy's special Valentine's Day concerts? Don't worry! Canadian pianist and composer Marie-Andrée Ostiguy presents a concert program featuring original compositions for piano and string quartet from her recently released album “Rêverie.” Surrounded by her talented musicians, Marie-Andrée Ostiguy will touch you intimately with her unique story-telling style and her eccletic compositions that range from romantic, to tango and to even jazz! The musical arrangements are signed by Gilles Ouellet (Nelligan - symphonic version, La Symphonie du Québec). This program also includes hits from “Montréal Concerto” and “Tandem” in musical arrangements signed by Simon Leclerc (Dracula – the musical), Bruno Fontaine (Julia Migueles-Johnson) and Marc Bélanger. Come discover the engaging melodies and the evocative musical imagery of this new opus, which garnered her a fourth nomination at the Adisq Gala in 2008. This is a musical rendez-vous not to be missed, the last one in Québec before her Alberta tour!